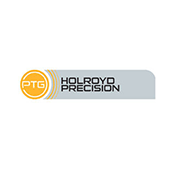 With more than 150 years of accumulated knowledge, experience and expertise, Holroyd Precision Components are firmly at the forefront of high precision machine tool design. Part of the Precision Technologies Group, which also has facilities in Germany and China, the business views apprenticeships as essential to its ongoing success. Working with the support of Rochdale Training Association, apprentices at Holroyd work towards a four-year qualification tailored to meet the needs of the business.